Samsung changed the perception, preference and choice of the customers with their historic introduction of famed Galaxy Note on October 2011. We have seen the surge of bigger screens ever since its release. 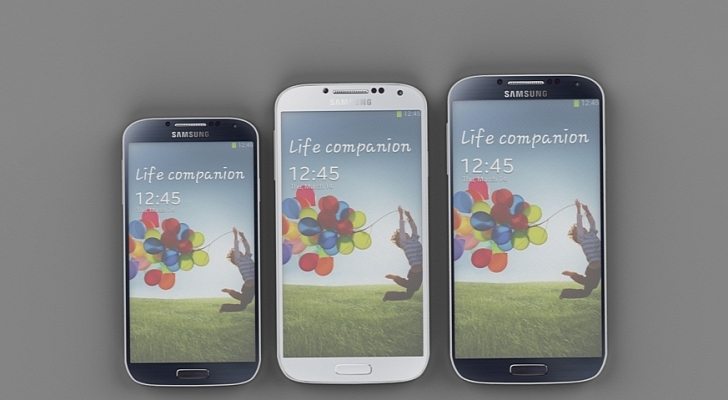 All the manufacturers followed suit the way of Samsung and brought forth smartphones with bigger screens. HTC, LG, Sony, Nokia, and Motorola released their flagship smartphones with an average of 4-inches to 5-inches sizes and now, Samsung went one step further by introducing Galaxy Mega series recently. That actually raises the question – how big is too big? I mean, 4-inches to 5-inches seem perfectly all right so should these companies increase the smartphone’s display screen even more? We have complains from some kind of consumers that these sizes are too huge for them and they want iPhone 5 sized displays. But there follows one more question – are the customers demanding these larger display screens? It seems as such since the survey done by Strategic Analyst, and 9 out of some 10 people want a larger display screen when purchasing a new one. Which happens to be the case in majority of the countries. So, that answers the question. It is us who are making this happening. It is us who are demanding more and our experience is changing each time we use a smartphone with large displays. Our demands have increased and now include accessing Internet with ease and browsing should be simple and faster. The tastes and preferences for people around the world have changed and we see more content and that want appears to be increasing. Most of us watch videos and movies on our smartphones, phablets and tablets because the displays screens are usually HD and makes the experience much more enjoyable and comfortable than on TV or PC. With online music streaming, music has never been so much easier to save and access. Even the sizes of internal and external storages have increased as can be seen with Galaxy S4’s support up to 64GB for both internal and external storage. That, my dears, was not even the size of a Hard Disk a decade back and some still have those Hard Disks. Imagine the revolution of smartphones and the technology behind it to create such possibilities! But it’s not limited to watching videos or listening to music as now we want to browse more and better than what we did just a couple of years ago. Most of the smartphones come integrated with social networking apps like Facebook and Twitter with options to download more like Skype, Yahoo Messenger, Gtalk, and other such networking clients. Everything that we used to have on the PCs is now found in our smartphones. Browsing made easier, video playback made HD and games that we never imagined would make out of the larger monitors and CPUs now fit into these smartphones. A lot has changed and we are in the middle of a big technological shift into future. But how does that justify the large displays? Shouldn’t there be certain limits pertaining at least to high-end smartphones? I wouldn’t know that. There can be a certain limit to some smartphones but it depends entirely on the majority of the market and the demands by consumers like us. I don’t have a problem with a giant phablet and do own Galaxy Note 2, which does not feel uncomfortable at all and fits my jean’s pockets considering that I am a woman. It’s just that even before the advent of bigger displays I used to use both hands when using my old mobile and still do, so I have not faced any problems. But that may not be the case for other people so it goes down to the comfort level and usability. If there is a limit to smartphones, phablets and tablets each then yeah, it does not sound bad at all. That way the consumers can choose what they want and everyone is happy. I think that is what it will eventually settle down to and that the current times is to check which size remains the best over time to be a smartphone, phablet and tablet.